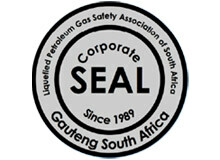 LP Gas (or LPG) stands for “Liquefied Petroleum Gas”. The term is widely used to describe two prominent members of a family of light hydrocarbons called “Natural Gas Liquids” (NGLs): propane (C3H8) and butane (C4H10). The other members of the NGLs family, ethane and condensates, have their own distinctive markets. The term “liquefied gas” may seem a contradiction in terms since all things in nature are either a liquid or a solid or a gas. Yet, liquidity is the unique character of LP Gas that makes it such a popular and widely used fuel. At normal temperature and pressure, LP Gas is gaseous. It changes to a liquid when subjected to modest pressure or cooling. In liquid form the tank pressure is about twice the pressure in a normal truck tyre, which means it is very safe when properly handled. LP Gas can be accessible to everyone everywhere today without major infrastructure investment, particularly in areas of developing countries with no access to modern, grid-based energy. Nothing needs to be invented and there are enough reserves to last many decades. LP Gas is very clean burning and has lower greenhouse gas emissions than any other fossil fuel when measured on a total fuel cycle. Originating mainly from natural gas production, it will not contaminate soil or aquifers in the event of a leak. LP Gas compared to other fuels has an excellent safety record worldwide when handled properly and is non-toxic.